Andrea T. Martin is an “out of the box” speaker, coach and life discovery expert. She is the Founder of Discovering My Wings, LLC, where she empowers and equips individuals to discover their life’s possibilities and take flight into their purpose. Having such a painful past full of mistakes, Andrea knows all too well what it feels like to be stuck in your past-unable to forgive yourself, unable to move forward, and unable to follow your dreams. But rather than stay there, living a life of regret, wondering “what if”, Andrea decided to change her situation. So she took time to assess her life, rediscover what she wanted, determine what had to change in order for her to get there and then did the necessary work to make it happen-GOD took her through a metamorphosis process to become the beautiful butterfly that HE designed her to be. And it paid off- Andrea has now discovered her W.I.N.G.S. & she’s soaring into her destiny. But it didn't stop there, today, through her speaking and coaching, she now walks her clients with a painful past through their own metamorphosis process so that they too can soar into their destiny. As an International Motivational Speaker, Andrea captivates audiences with her message to help women emerge from a painful past, rediscover their goals, dreams and aspirations, capitalize on their current skills, talents and gifts and take the necessary steps to TRANSFORM their lives. Highly respected as an engaging, motivating and genuine speaker, Andrea speaks directly to the heart of her audience, taking them through a process that quickly moves them from information and inspiration to activation and implementation. 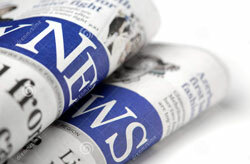 Through her warm yet dynamic style, Andrea teaches her audiences using compelling yet informative stories. This provides them with valuable takeaways they can use to immediately impact their lives. She combines her unique journey of self re-discovery, her knowledge of the transformation process and her spiritual wisdom… to help women around the world get unstuck, remove limitations, activate their wings and soar into their destiny. 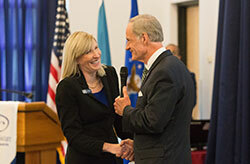 Most recently, Andrea spoke at the FBI, the University of Mary Washington, and she also gave a keynote speech for the Jobs for Delaware Graduates (an audience of over 220 students and staff-which included the Governor of Delaware being in the audience along with many Senators, Legislators, and State Officials). As of the writing of this book, Andrea will be heading to the Bahamas, Dubai, and various cities all over the US to motivate and empower. Known for her ability to quickly get to the heart of the matter and help women make radical improvements in their lives, Andrea has become the “GO TO” expert among those looking to transform their lives. Her clients are most appreciative for her ability to inspire, motivate, and help them to quickly get unstuck and moving towards their destiny again. Through her coaching packages, workshops, speaking engagements and various teachings, Andrea offers single and divorced women alike; real life strategies on how to get unstuck, remove limitations and turn their dreams into reality.